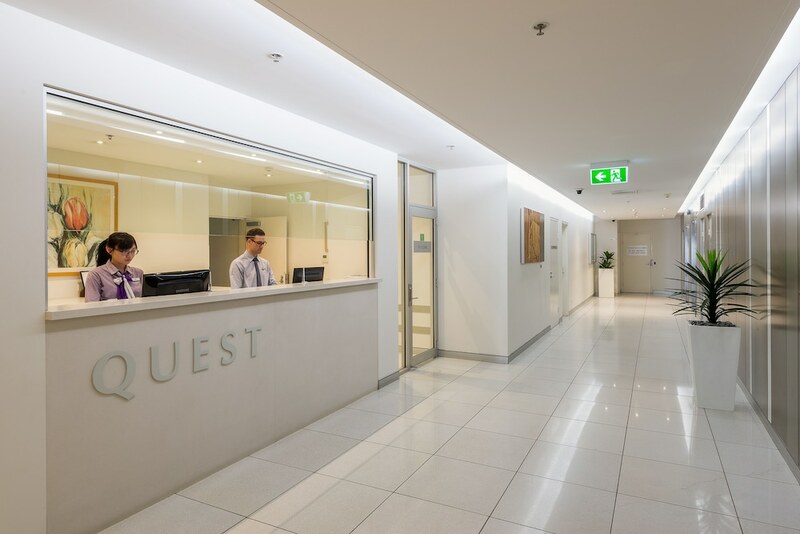 Quest River Park Central is centrally located in Brisbane, a 3-minute walk from Brisbane Botanic Gardens and 6 minutes by foot from Queen Street Mall. This 4.5-star apartment is 0.6 mi (0.9 km) from Museum of Brisbane. In addition to an outdoor pool, Quest River Park Central provides a sauna and a fitness center. Public areas are equipped with complimentary wireless Internet access. For a surcharge, a roundtrip airport shuttle (available 24 hours) is offered to guests. This luxury apartment also offers tour/ticket assistance, barbecue grills, and multilingual staff. Parking is available onsite for a surcharge. Quest River Park Central has designated areas for smoking. Reception hours are 7am - 8pm on Friday. For more details, please contact the property using the information on the reservation confirmation received after booking. This hotel will place an authorization of $200-500 for incidentals and security deposit. For more details, please contact the property using the information on the reservation confirmation received after booking.